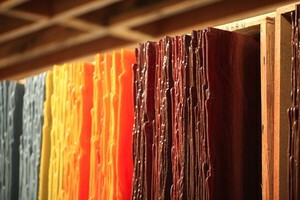 by Cassandra Profita Follow OPB/EarthFix Feb. 18, 2016 10 a.m. | Updated: Feb. 19, 2016 9:54 a.m.
Bullseye Glass makes artistic and architectural colored glass in Southeast Portland. 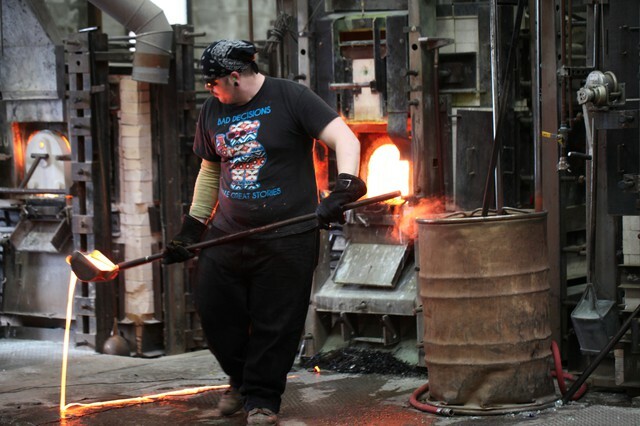 Bullseye Glass co-founder Dan Schwoerer pulls out one of the orange glass sheets his company makes using cadmium.
. Officials say those levels are high enough to raise the risk of cancer for people living nearby. 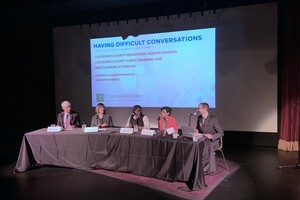 Suddenly, a whole lot of Portlanders are demanding to know why regulators didn’t know more about the pollution coming from these two glassmakers and why there aren’t more pollution controls on these two plants. Environmental regulators admit they didn’t know how much cadmium and arsenic were coming out of the Bullseye Glass facility. They still don’t. 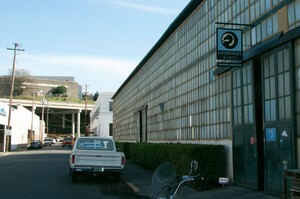 Bullseye Glass in Southeast Portland is one of two glass companies that has voluntarily stopped using cadmium in and arsenic in its manufacturing of colored glasses. for emissions testing and for adding pollution controls. 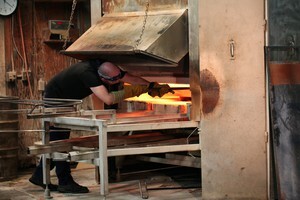 Bullseye Glass operates 14 furnaces. But it still doesn’t emit more than 10 tons of any one hazardous air pollutant. It doesn’t exceed the total limit of 25 tons of total hazardous air pollutants, either. George says that means there’s no requirement to test what comes out of its furnaces or put pollution controls on them. Without testing, regulators don’t know how much of each pollutant is being released under the 10-ton limit. And that applies to lots of small facilities — like auto body shops and metal plating companies — not just glass-makers. There’s no requirement to ensure the pollution from these facilities doesn’t put the air in surrounding neighborhoods above the healthy air benchmark levels set by the state. “While we’re all very upset by this discovery now, everybody in the regulatory community has known this has been going on for a very long time,” George said. Uroboros Glass voluntarily stopped using cadmium following moss testing that found a hot spot for the heavy metal near its North Portland location. to get their hair and urine tested for heavy metals. They’re also looking to state regulators in dismay and demanding new rules. At a recent public meeting, Jessica Applegate was first in line to give officials an earful on behalf of her neighborhood. She’s raised two teenage children in Southeast Portland not far from Bullseye Glass. 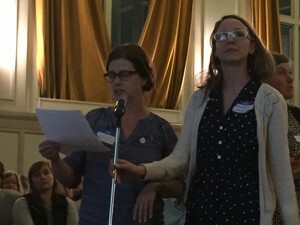 Jessica Applegate and Amanda Jarman deliver their demands for more stringent air pollution controls to public officials at an open house Tuesday in Portland. 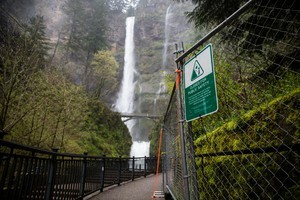 to look at how Oregon can do a better job of controlling toxic air pollution. Officials say they’re looking at options – like adding state rules similar to those in Washington, where pollution testing and controls can be required for small facilities. Officials are holding a second community meeting Thursday night from 5 to 9 p.m. at Tubman Building, 2231 N. Flint, in Portland. 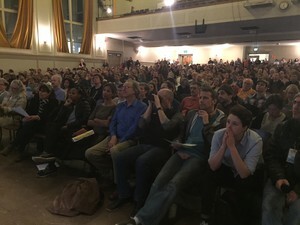 Hundreds turned out to ask public officials questions about Portland’s air pollution Tuesday. and doing additional air testing near the Uroboros Glass facility in North Portland. It’s also building an inventory of other facilities that might have similar emissions and working on new rules for controlling toxic air pollution. 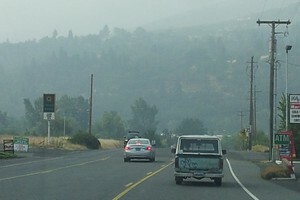 Pedersen said regulators knew that there were elevated levels of toxic air pollutants around Portland, including cadmium and arsenic. 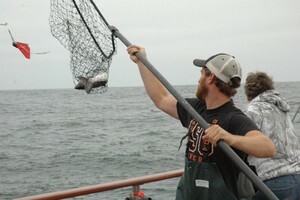 The agency had seen higher levels in the limited air testing it has done in the past. But those results didn’t tell them where the emissions were coming from. 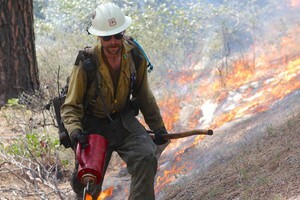 The type of sampling the U.S. Forest Service did with its moss study is unique, he said, and it revealed valuable information the agency wouldn’t otherwise have known without lots of very expensive air testing. 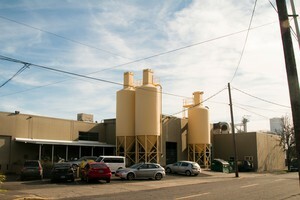 Bullseye Glass has suspended the use of cadmium, arsenic and chromium in response to concerns about nearby air pollution. in response to the high levels of the heavy metal detected in tests of moss growing nearby. Bullseye is no longer using arsenic. Now, at the state’s request, both companies have stopped using chromium too. Chromium is used to make green glass colors. Chronic, low-level exposure to the hexavalent form of chromium increases the risk of lung cancer. Lovell of Uroboros Glass said he’s hoping further testing will offer a better answer to whether his company is actually responsible for the cadmium hot spot detected in moss a quarter mile from his facility. A variety of metals are used to make colored glass sheets for artists to use in their work.